Here is an easy chicken crockpot recipe for you to make for your family this season that will warm their bellies and feed their souls. Yes, I’m so dramatic. Get used to it. I’m half Italian and from Queens. What can I say? This crockpot chicken and rice recipe is OH SO GOOD and easy to follow. 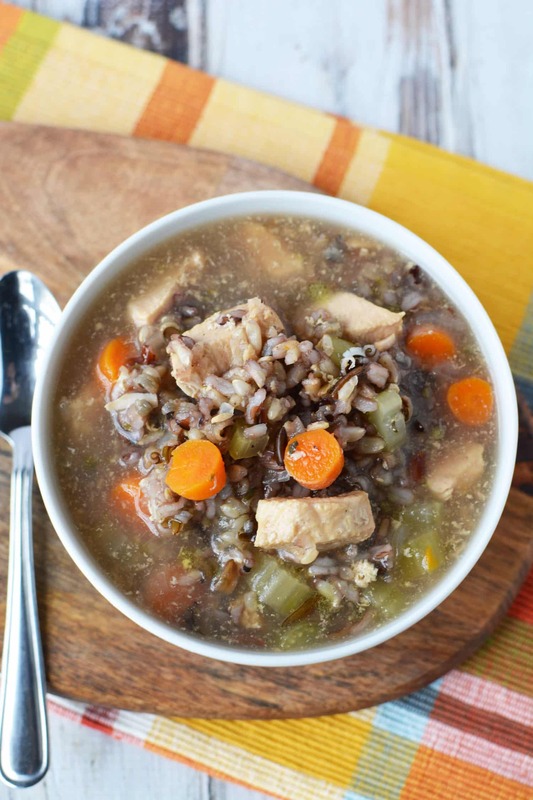 It’s a slow cooker chicken & wild rice stew. I call it a stew because it doesn’t have a ton of broth. This meal is as hearty as can be and is absolutely filling. All you will need is a fresh loaf of bread and you’ll be good to go. What Rice Do I Need For This Crockpot Chicken And Rice Recipe? 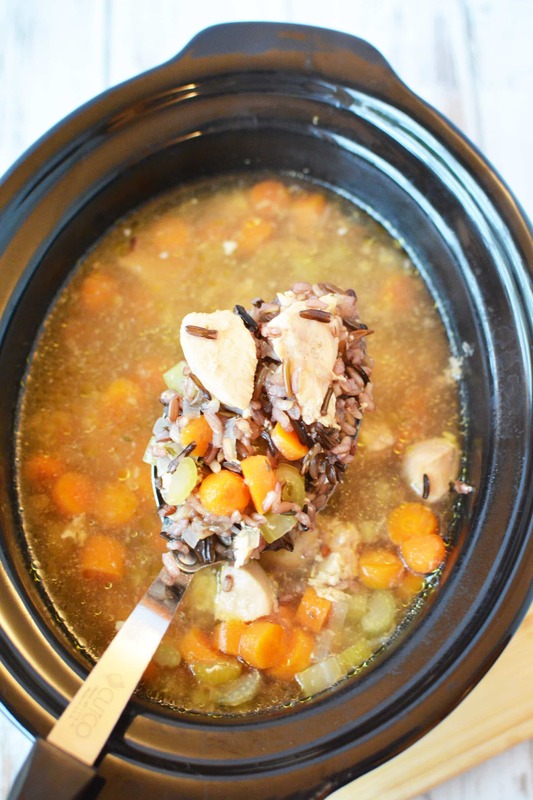 In this easy chicken crockpot recipe, we used a bag of Lundberg Wild Blend Rice. It takes about 45 minutes to cook just the rice alone. SO, be sure to plan ahead when making this crockpot chicken and rice recipe. You need to be mindful of that when considering this option. You don’t have to use the entire bag – just about one cup of uncooked rice. Be sure to cook the rice according to the package directions. And can I be honest with you about rice cooking? I have a super cheap rice cooker and it changed my LIFE. I paid $30 for my ride cooker and it was the absolute best investment of my LIFE. I NEVER mess up when I make my rice side dish. I have Hashimoto’s disease (not related to this recipe) and really have to try to eat gluten-free as often as possible. So, I make a LOT of potatoes and rice as my dinner’s side dish because those are both naturally gluten-free. So, believe me when I tell you that I use my rice cooker all the TIME. Get one and thank me later! How Long Does It Take To Cook This Crockpot Chicken And Rice Recipe? You will have to heat this recipe on low for 6 hours using your crockpot and then allow for an additional 30 minutes once you add your layer of rice in. So, make sure that this crockpot chicken and rice recipe is something you have time to prep early enough in the day. If you like this Crockpot Chicken and Rice Recipe be sure to pin it to your Slow Cooker or Crockpot board on Pinterest! Share this Easy Chicken Crockpot Recipe with your friends. 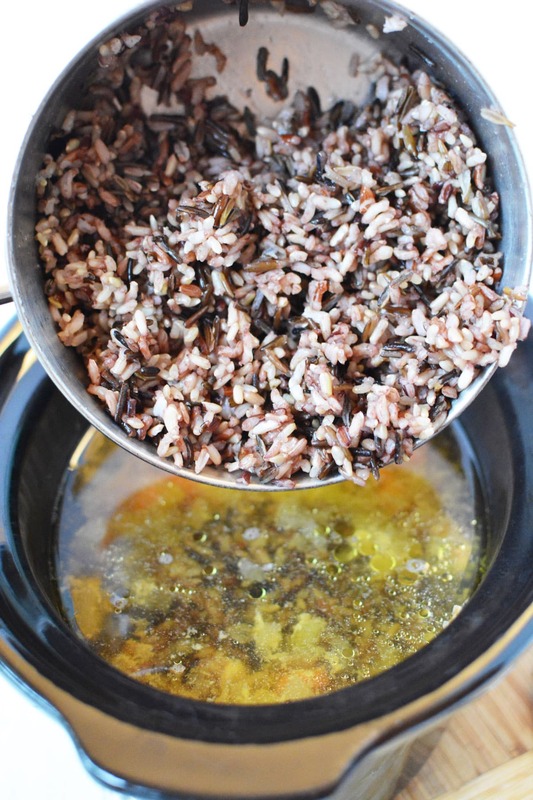 Cook wild rice according to package directions and set aside. Add chicken, carrots, celery, onion, chicken broth, water and spices to a slow cooker and mix well. Heat on low for 6 hours. Stir in cooked rice and heat for an additional 30 minutes or until heated through. What did I tell you? This easy chicken crockpot recipe was a breeze, right? Your family will love this Crockpot Chicken And Rice Recipe! I hope you will try it out soon. Here is a full printable version so you can have a clean copy to work off of at home. Add carrots, celery, onion, chicken broth, water and spices to a slow cooker and mix well. Heat on low for 6 hours. Stir in cooked rice and heat for an additional 30 minutes or until heated through. 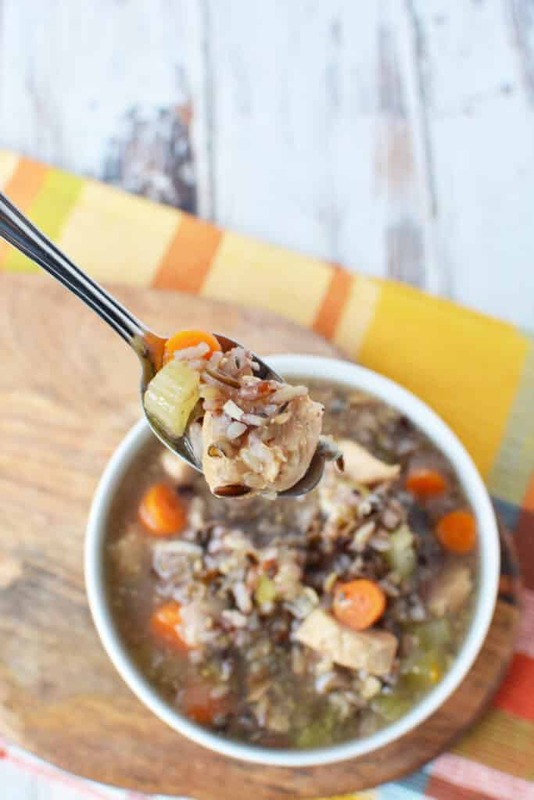 The beauty of an easy chicken crockpot recipe is that it allows you to spend more time with your friends and family and less time in the kitchen worrying about standing in front of a stove! My kind of recipe! Looking for more recipe ideas?! 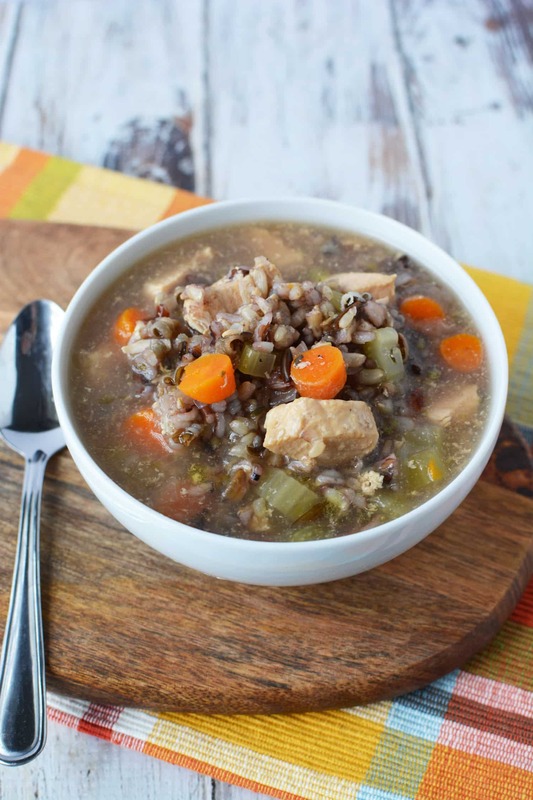 How about these easy crock pot recipes? To check out all of my recipes, be sure to visit my dining section.